There’s a great way I can rate the taste of bloody Mary mixes. During football tailgating I’ll put 2-3 different bottles and some vodka on the table. The tailgaters will try one, and invariably will have seconds with the one they liked best. 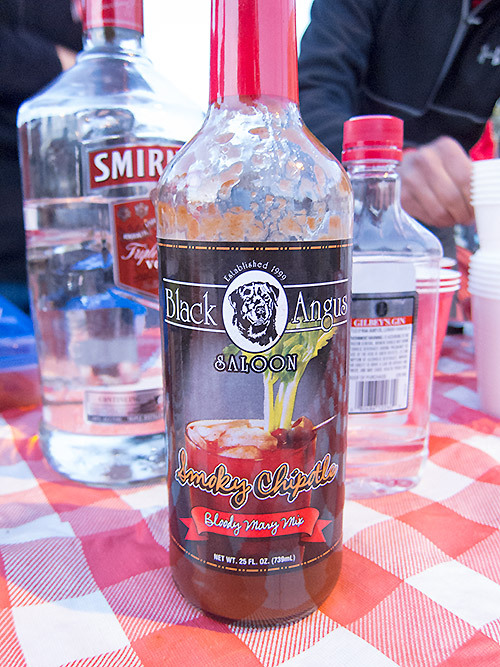 This past tailgate I packed the Black Angus Saloon Smokey Chipotle Bloody Mary Mix, along with another I will not mention. By the end of the tailgate the Black Angus bottle was empty while the other test subject had hardly been used. The winner has a very original smokey chipotle taste which I really like.